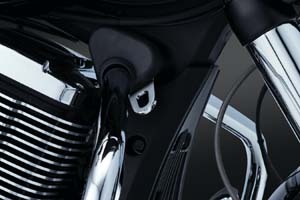 949: Bolts directly to the sides of the front fork to provide a secure, easily accessible point to attach tie-down straps to the front of the motorcycle.Fits: '14 to current Electra Glides & Street Glides. 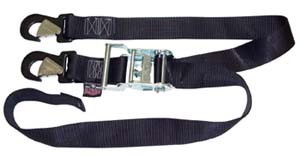 928: Tired of searching for good places to attach tie-down straps to your FLHT or Road King? The fairing and fairing lowers always seem to be in the way and using the handlebars is hard on the riser bushings. 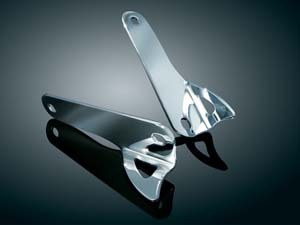 These stylish, custom brackets bolt to the sides of the front fork and provide a secure, easily accessible point to attach tie-down straps to the front of the motorcycle. 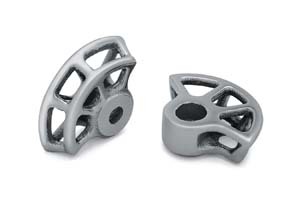 Fits: ’83-’13 Electra Glides (except CVO Models) & '94 to current Road Kings. 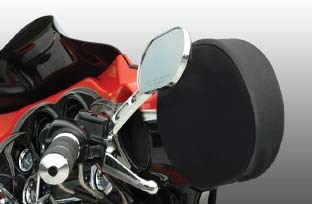 924: Take the risk out of damaging your fairing or handlebars. 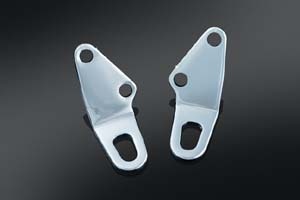 Bolts right on between your stock turn signal or passing lamp brackets & fork shrouds for safe & secure trailering. 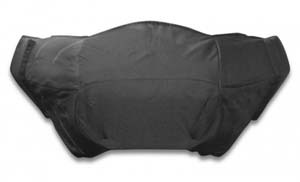 The low profile design keeps a discreet look when not in use. 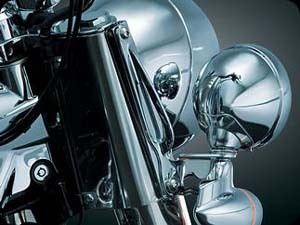 stamped steel & chrome-plated. Fits: ’06-’13 FLHX, ’04-’05 FLHTCSE, ’06-’13 FLHTCUSE, ’10-’12 FLHXSE. 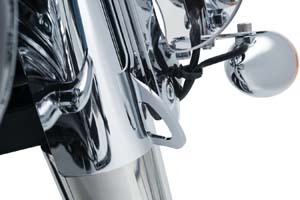 926: Also for your Softail bike. 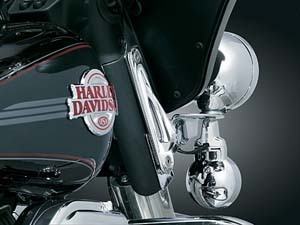 Fits: ’86-’90 & ’06 FLST/I Heritage Softail, ’89-’15 FLSTC/I Heritage Softail Classic, ’90-’15 FLSTF/I Fat Boy, ’10-’15 FLSTFB Fat Boy Lo, ’93-’94 FLSTN Heritage Softail Nostalgia, ’95-’96 FLSTN Heritage Softail Special, & ’05-’15 FLSTN/I Softail Deluxe. 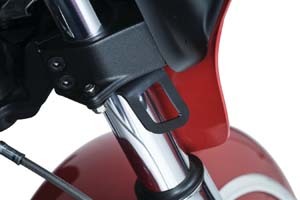 938: Custom Tie-Down Brackets for Victory. 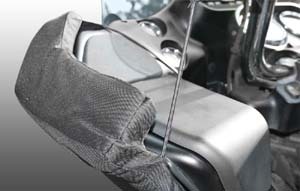 Works with both Victory OEM Cast or Tubular engine guards. Not for use with lower fairings. TBCG-79: Tie Down Bracket/Cable Guide. 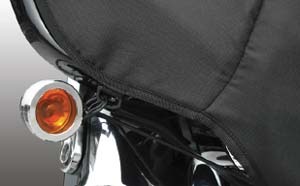 These handy brackets quickly and cleanly provide anchor points for securing luggage or other items to your motorcycle. Mounting hole accepts up to a 3/8” (or M10) screw. 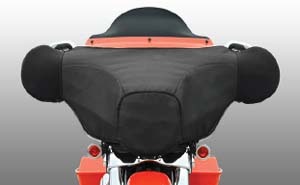 968: Trailering your Indian just got a lot easier. 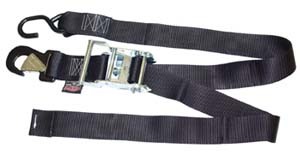 Laser-cut from durable steel, these custom brackets mount to the lower triple tree to provide a secure location to attach straps for easy and safe transport. Laser-cut from high-quality durable steel. Durable steel construction for safe and secure transport. Easy installation. Fits: Indian: '14-'17 Chief Classic, Dark Horse, Vintage Models. 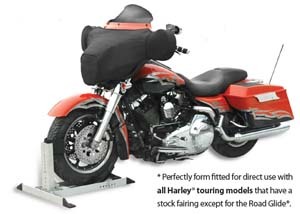 953: Trailering your Indian just got a lot easier. 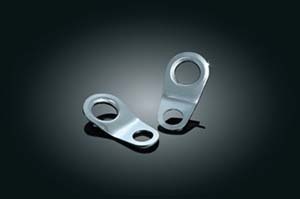 Laser-cut from durable steel, these custom brackets mount to the lower triple tree to provide a secure location to attach straps for easy and safe transport. 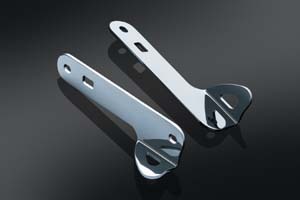 Laser-cut from high-quiality durable steel. Satin black finish. Easy installation. Fits '14 to current Indian Cheiftains & Roadmasters. 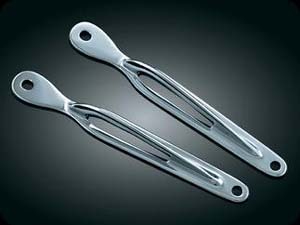 571: Rear Tie-Down Anchors, Polished Stainless, Fits: Harley '14-'17 Road Glides (except FLTRU, FLTRUSE), Road Kings & Street Glides, '04-'17 Sportsters (except XL1200T). 572: Similar to above but in gloss black. 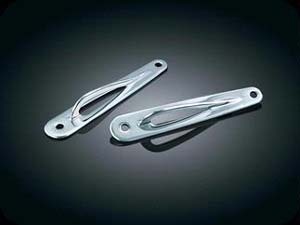 All hooks are vinyl covered to help prevent damage to delicate surfaces and will fit over objects up to 1" O.D. 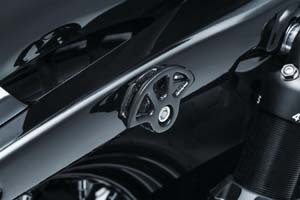 FB-170: A revolution in motorcycle fairing protection ensuring the highest level of security when transporting motorcycles. Never again have to deal with scuffed or chipped paint from the dangers of hauling. 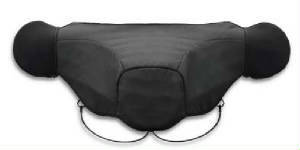 Providing the ultimate in fairing protection the FB-170 adds an extra layer of security to your investment keeping accidents from becoming costly and frustrating. 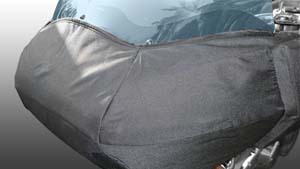 Double layered padding keeps bikes safe from rocks and road debris, jostling trailer straps, other bikes and equipment and maintains peace of mind while hauling. 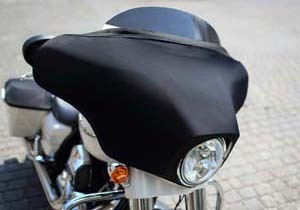 Extra thick neoprene padding at the outer edges ensures even more protection for the most vulnerable parts of the fairing by completely surrounding the outer edge with soft padding. 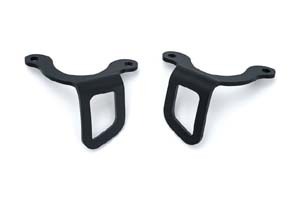 Finally, high durability elastic straps clip to the Biker Bumper and attach around the front turn signals to keep the protector completely secured to the fairing. Considering the cost and complexity of fairing bikes, custom paint jobs and having to fix accidents the FB-170 is a simple, effective and inexpensive solution that just makes good sense. Don’t get caught off guard and let a single incident needlessly cost you thousands of dollars in repairs. 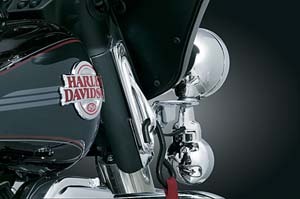 FB-171: Bumper Motorcycle Fairing Protection Cover for all Harley-Davidson Road Glide® fairings.